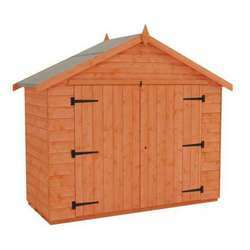 Shiplap cladding, also known as tongue and groove cladding, is made up high grade planed boards where the joint of the protruding ridge (or tongue) of one board locks within the matching groove in the board beneath. 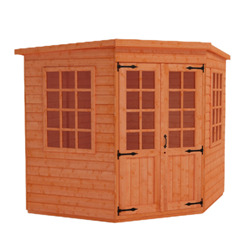 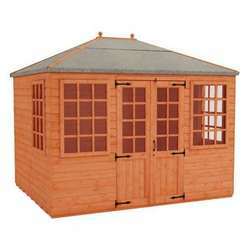 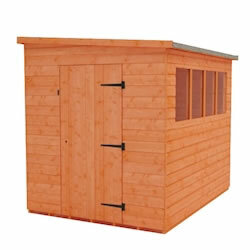 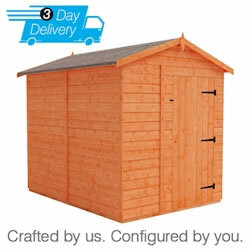 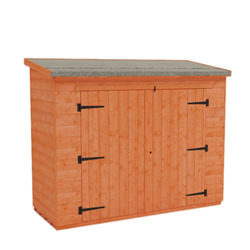 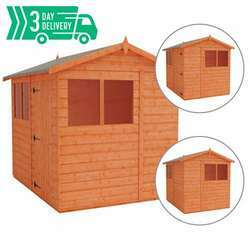 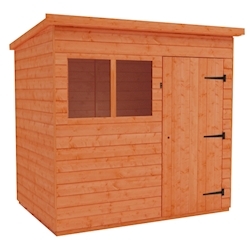 This tight fit cladding ensures complete resistance to wind and rain penetration meaning that garden sheds with tongue and groove shiplap cladding are built to last. Our Shiplap Sheds are 12mm thick. 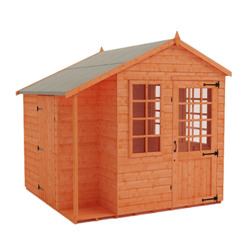 Using high grade planned boards our interlocking tongue and groove Shiplap which, when fitted tightly together creates greater resistance against wind and rain, is our most popular option because of its lasting quality. 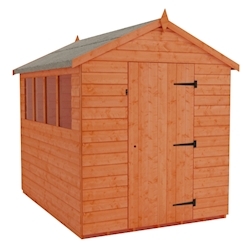 As well as being assembled into secure panels the Shiplap cladding has proved to be an attractive style which has been replicated across a number of buildings. 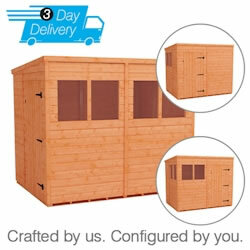 In doing so we are able to maintain the best price so that you always have the opportunity to buy your favourite. 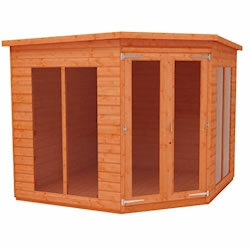 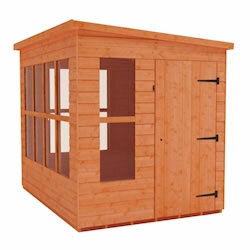 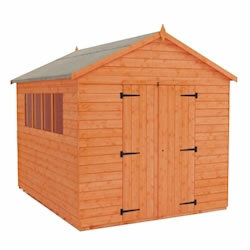 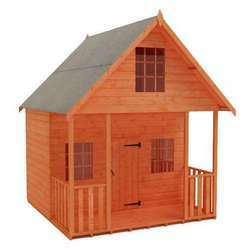 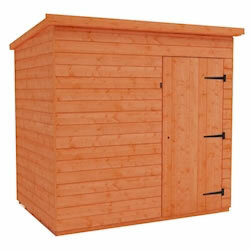 Here at Tiger Sheds we have a huge range of fantastic shiplap sheds. 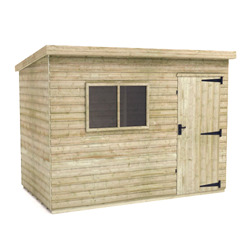 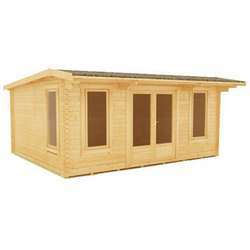 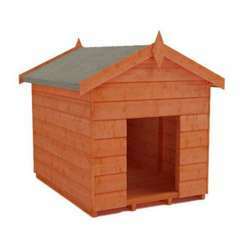 From great value products such as the Tiger Shiplap Apex and Pent Sheds, which will always be a popular choice due to their multifunctional purposes, to the Tiger Penthouse and pressure treated sheds. 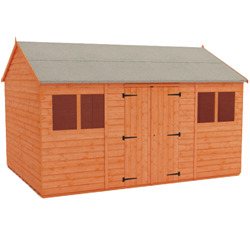 There’s something for everyone’s budget and taste with a shiplap shed. 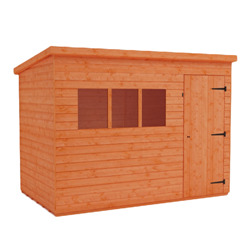 We also offer the wooden garage with shiplap cladding and a product that completely reinvents buying a shed; Tiger Flex Apex Shed. 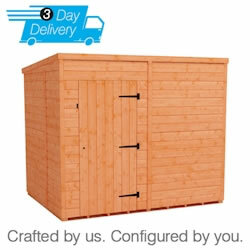 The Tiger Flex Apex comes with just a three day delivery wait in a choice of sizes depending on your space. 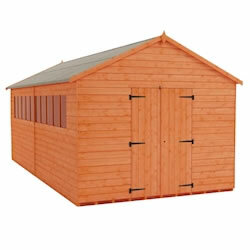 All of the Tiger Sheds shiplap sheds are high quality, diverse and simply stunning.